It’s book week #3 and I’m now evaluating the bookcases in the dining room. Technically this room has three bookcases but two of them are actually display shelves with stuff we’ve collected from various countries. 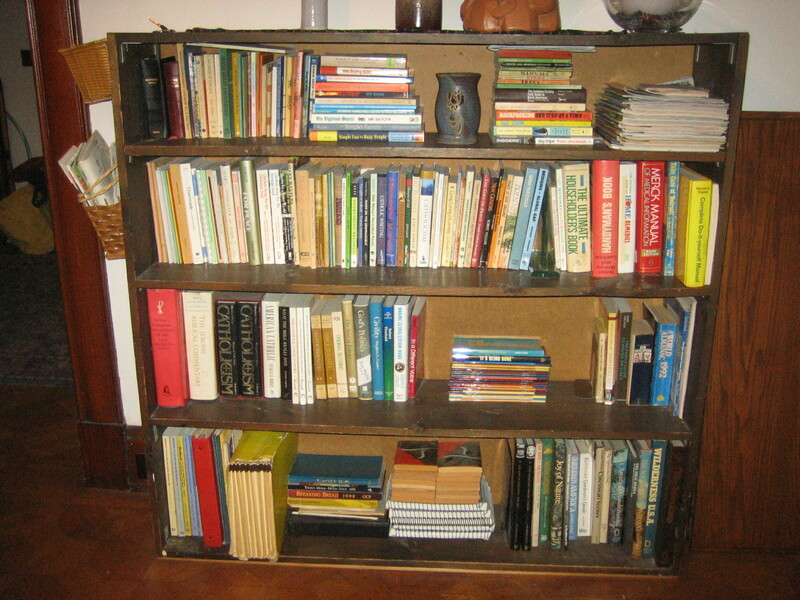 One bookcase has books related to the continent of Asia, the second has books on Africa. 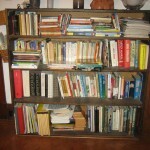 Most of these are memento books and dictionaries – not really books to read. 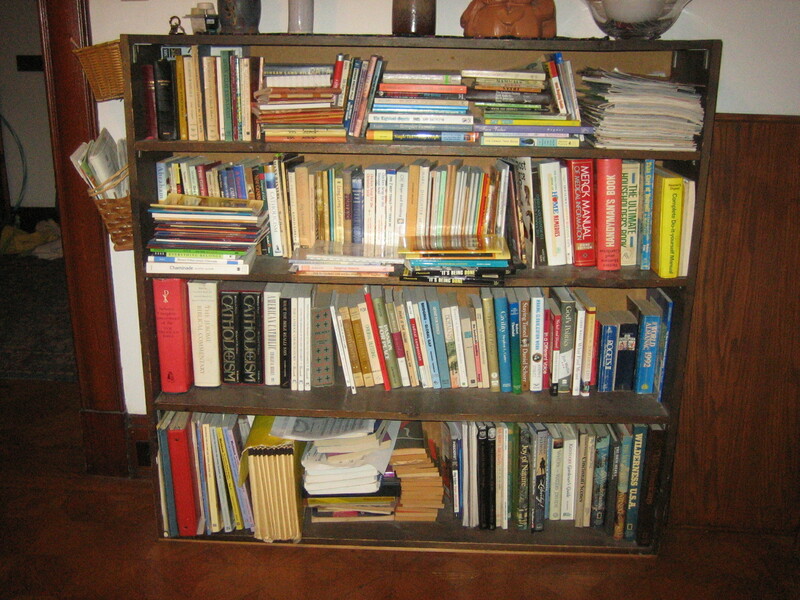 I’d feel guilty getting rid of them, so I’m focusing my attention on the catch-all bookcase. The photo above on the right is the before photo and the one on the left is the after. Unfortunately they don’t look all that different. For the record though, out of 270 books, I’m getting rid of 45 and moving 4 to a more appropriate bookcase. Many of the books I’m keeping are books I use as resources for planning prayer services. Others are books on nature, health, household repair, and geography. Oh yes, this is also where I stash all our catalogues which I reduced by about a third. 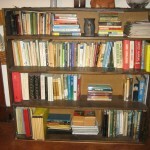 For those who care, there is a website, www.CatalogChoice.org that helps you eliminate unwanted catalogs. A more satisfying experience today was finding a place to sell/donate all the books I collected from weeks #1 and #2. I took them to Half Price Books which is a store that sells books for half price but also buys used books, even text books, raggedy books, records, movies, etc. I took in over 250 books and got a whopping $10. Admittedly, few of the books were current or in good condition but since I was going to give them away anyway the payment was not important. The books that aren’t new enough looking to sell, they donate to non-profits. Those that don’t even meet that criteria, they recycle. Amazon, Powells, and other online stores buy current books in good condition but it takes a bit of work to use their systems. 2018 April Update: Joshua Becker just did a blog post on 20 Place to Donate Used Books. Check it out.